The Old Watermill (c) 2012 Fine Agencies. 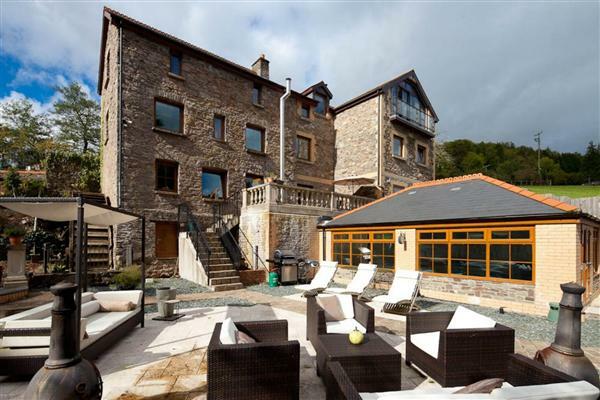 This week our first offering is the eye catching watermill at Rudry, Cardiff. You may well be thinking “that lot at Unique Property Bulletin have gone off the rails with this £1,300,000 property – I’ll buy three at that price”. Alright it is a little on the rich side, and we promise to make up with some bargains in this week’s Bulletin further on below. 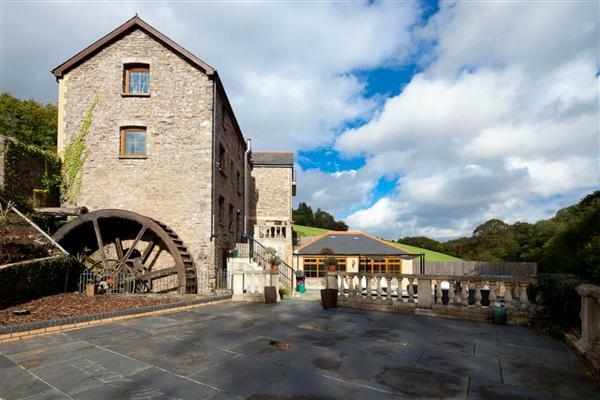 But you must surely agree this watermill does rank as a bit special? A classic watermill, with a fabulous interior water pool to swim in. Having seen some mill ponds, they can be less of the turquoise Mediterranean blue and more of the jobby flavoured bog brown. Less than inviting when it comes to having a swim. Not that swimming in a mill pond is recommended. Anyone who has seen the Michael Caine classic movie – The Eagle Has Landed will know to avoid swimming near mill wheels. Crunchity crunchity. So what do we have with this building…. Set amid a peaceful and secluded setting, and approached via electric gates and drive, the commanding exterior of this 18th Century watermill belies the contemporary interiors that lie within. Ideal for family living, there are four bedrooms, three en-suites, a kitchen/breakfast room, dining room, study and spacious drawing room. There is also a swimming pool, gym and approximately acre of grounds that include a large level garden and a detached stable block. Beautifully Presented 18th Century Watermill. Four Bedrooms, Including Three En-Suite. Grounds and gardens of about 1 acre. Indoor Swimming Pool and Gymnasium. Location: The Old Watermill, Rudry, Cardiff, CF83 3EB. Contact Fine Agencies Tel: 02920 226129 – Mr Robert Weare. Sadly a repossession. Barnard Marcus auctioneers are selling this Barn. Compared to the first listing this week we have a veritable bargain. BUT you must be good at DIY and be prepared for the inexorable challenge that is the planning system of the United Kingdom. 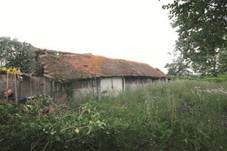 This old barn has no permission as of yet and whoever buys it has that to go through to established whether change of use permission from letting chickens and porkie critters sleep in this structure, to allowing humans to inhabit it. Then starts the major renovation. Up for a challenge? Then pop along to Barnard Marcus and stick your paw in the air. If anyone knows why it has the name Half-A-Crown Barn, please email us so we can complete this part of the story. Thanks. Location: Half-A-Crown Barn, Tenterden Road, Rolvenden, Cranbrook, Kent, TN17 4JJ. 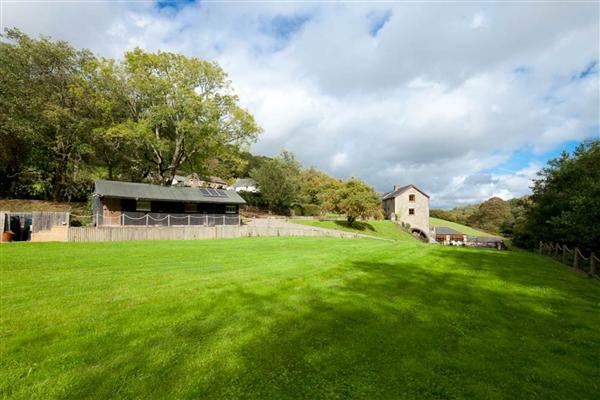 Guide: £22,000 – A Bargain Barn? AUCTION on 11th September 2012. You will need to scroll down this page to Lot 98, then click on the Lot Number. Dornoch Castle (c) 2012 Knight Frank. Alright, guilty as charged. We are all over the place with prices this week. Deserve to be locked up in the dungeon, and this place is as good as any. Last lot may have been £22,000. Afraid this castle is ten times that. Then look again at the photo above of this magnificent building. Almost as good, look at what is on the doorstep …. 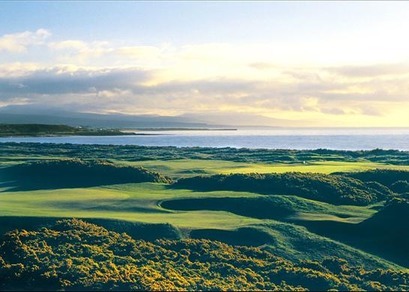 Royal Dornoch Golf Course (c) 2012 Knight Frank. Dornoch Castle is set in the heart of the beautiful and historic town of Dornoch and directly opposite the inspiring 12th Century Dornoch Cathedral. There are 25 delightful en-suite rooms – 12 garden rooms in the modern extension all twin, double or family rooms. Dornoch Castle – Example Bedroom (c) 2012 Knight Frank. 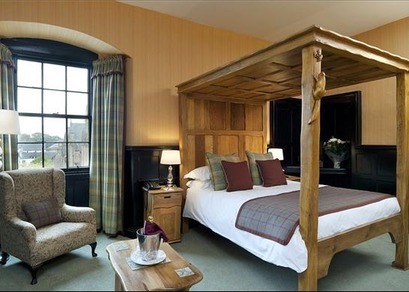 Restaurant – Fine restaurant to the rear with covers for up to 90 and this delightful room looks onto the walled garden. Bar – Full of atmosphere, the cosy Scottish “local” is popular with guests of the hotel and locals / golfers alike. A fully equipped modern kitchen, Dry store, store rooms, laundry, management office, cellar, ladies and gentleman’s toilets all on site. Walled garden to the rear which can take marquees, a popular feature of the hotel. The owners have secured detailed planning permission for an additional 11 bedrooms, small spa, 70 seat bistro / bar, 2nd kitchen and cellar, additional public area space and conversion of existing cellars. … and in 2016 about to celebrate a special anniversary. That is another story for another day. 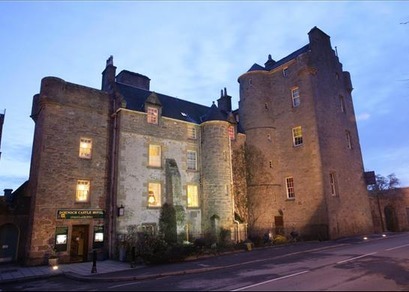 Location: Dornoch Castle Hotel, Castle Street, Dornoch, Sutherland, IV25 3SD. Millom Magistrates Court and Police Station (c) 2012 Pugh & Company. Two for the bargain price of one, and we are back to earth on the affordability scale of this Bulletin edition. A guide starting at £85,000 and we are sorely tempted to go and bid ourselves! For what you may ask? A former police station AND magistrate’s court. All rolled into one. 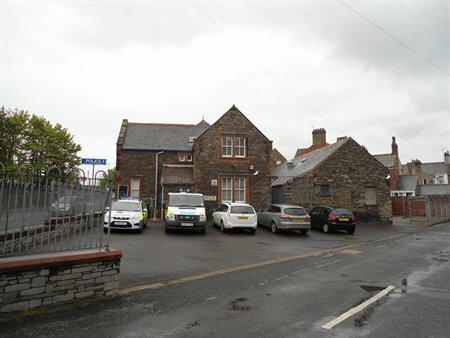 The property is prominently situated fronting Station Road (A5093) at its junction with Duke Street on the edge of Millom town centre. Millom is located approximately 24 miles from Barrow in Furness and 33 miles south east of Whitehaven. Junction 36 of the M6 motorway is approximately 38 miles to the east. 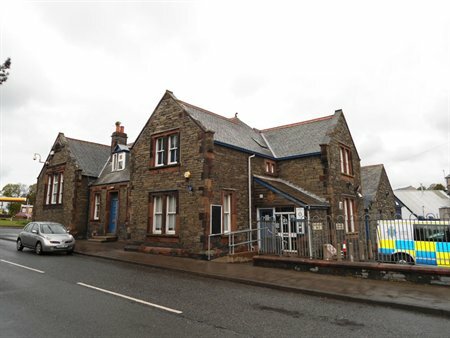 Millom Police Station: Ground & First Floor Combined 235.50 sq m (2,535 sq ft) – approximately. Former Magistrates Court: Ground Floor (Excluding Basement) 176.97 sq m (1,904 sq ft) approximately. Outside To the side and rear of the property is car parking and an enclosed yard together with two single storey garages. Site Area Approximately 0.11 Hectares (0.27 Acres)) approximately. Guide: £85,000 to £95,000. Pugh’s Auction Lot 19 – 6th September 2012 – Get Your Skates On ! Contact Pugh & Co., Auctioneers Tel: 0844 2 722444. 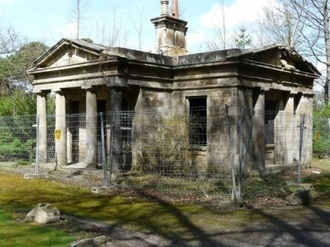 East Gate Lodge (c) 2012 CKD Galbraith. For anyone who has watched George Clarke’s Restoration programme on the Lodge in Suffolk …. … you may indeed be saying “get away”, to us for showing this to you – even with the East Lodge at Aberlour being priced at a bargain £50,000. Then again, home of the brave. You may like to take a closer look. Location: East Lodge Aberlour Moray AB38 9LD. Contact CKD Galbraith Tel : 01343 546362 – Rod Christie. Saxa Vord – Back To the Future (c) 2012 Future Property Auctions. We got a bit of a shock when a HUGE chunk of the former RAF Saxa Vord came up for sale at auction a while back, and went for the incredible bargain price of £19,000. Had we known that, one of our lot would have been sent across to wave their paw in the air at Shaun Vigers at SVA Auctions to win that wonderful isolated idyll…. Now we have another part for sale, or rather for auction, at Saxa Vord. This feels like Back-To-The-Future in more ways than one. Not totally sure which bit this is. The price seems excellent though. Please can any of our friends over at 28 Days Later, and the Secret Scotland websites let us know a bit of the history. Their team are particularly clued up on this magnificent desolate remoteness. Rarely available site with 2 detached single storey structures located on the picturesque Scottish Isle of Shetland. The plot extends to 1 Acre (43,560sq.ft) approx. There are currently 2 single storey detached buildings occupying the plot. Offered with full vacant possession boasting a vast range of potential alternate uses and breath-taking views over the surrounding countryside to the North Sea. Grid Ref: 464785, 1215429. Unst is one of the North Isles of the Shetland Islands, Scotland. It is the northernmost of the inhabited British Isles and is the third largest island in Shetland after the Mainland and Yell. Its main village is Baltasound, formerly the second largest herring fishing port after Lerwick and now the location of a brewery, a leisure centre and the island’s airport. Two local business have relocated their premises to the Saxa Vord site: Valhalla Brewery and Foord’s Chocolates, Shetland’s only chocolatier. Rural Plot Situated on the Shetland Isles. 2 Detached Single Storey Buildings Currently Occupy the Site. 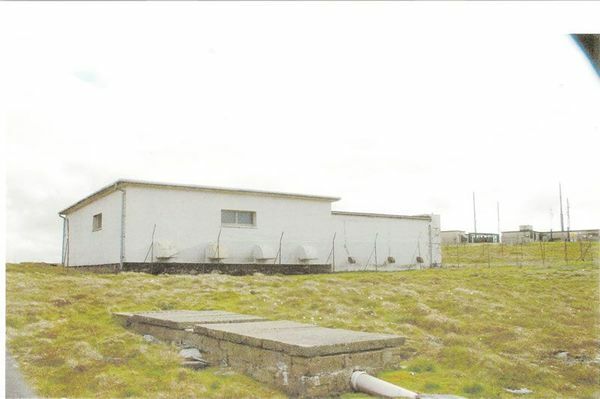 Location: Site with Building by Saxa Vord, Unst, Shetland Isles, ZE2 9DX. Contact Future Property Auctions Tel: 0141 632 6599. (Lot 23h) Auction Date: 11 September 2012.